Nestled between Thailand, Laos and Vietnam, Cambodia is quickly making a name for itself in the gambling world. The country has experienced significant economic growth in the last decade, with increased tourism acting as a major catalyst. With more people visiting the country, gambling facilities for foreigners have improved and expanded to cope with the increased demand. Gambling is embedded in Asian heritage and Cambodia is no different. In this article we take a look at the current laws and regulations for Cambodian citizens and explore the ease with which bettors can place wagers online. Here is a quick look at our recommended sites for betting online from Cambodia. Cambodians are passionate about gambling and betting takes place on almost every competitive event, with cockfighting, boat racing and kickboxing all attracting wagers on a regular basis. However, as it stands most forms of gambling in Cambodia is officially illegal under the Kram legislation which was implemented in 1996. 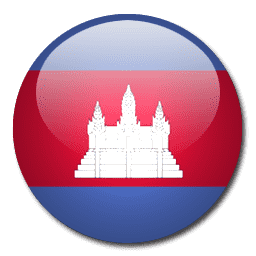 The paper stated that gambling of all kinds throughout the whole Kingdom of Cambodia would be strictly prohibited unless permitted by the Royal government. In 2002 a company by the name CamboxSix were granted a nine year licence to act as the sole bookmaker in the Cambodia, with the firm allowed to accept football bets on games from around the world. However, in 2009, with two years on the contract remaining, their licence was revoked by Prime Minister Hun Sen, who linked increasing crime levels and social problems to gambling and took swift action to close the twenty shops in operation with immediate effect. Despite the laws which prohibit Cambodian citizens from betting, there are a number of government regulated casinos available to foreign citizens in Cambodia. Resorts which offer gambling facilities are typically located near the borders and attract Chinese, Vietnamese and Thai customers. The town of Poipet, situated just over the Thai/Cambodian border, offers a haven for punters from Thailand who are unable to legally enter casinos in their own country. Just four hours from Bangkok, complimentary buses are provided on a daily basis to transport groups to Poipet, with an estimated 3,000 people making the journey daily. The largest betting facility is at Nagaworld (owned by Hong Kong company NagaCorp). The casino has a 70 year licence which doesn’t expire until 2065 and perhaps more importantly has a 41 year monopoly over all casino activity within a 200km radius of Phnom Penh (expires in 2035). Below is a list of the major Asian bookmakers who offer their services to clients based in Cambodia. SBObet, IBCbet and 188bet have long been established as major betting firms who specialise in Asian Handicap football betting. As mentioned above, as well as their online operations, they also have ‘agents’ on the ground who collect bets from customers, bringing further anonymity to their services. Khmer is the national language of Cambodia, and unsurprisingly, with a small population and one who is not particularly affluent by world standards, the incentive for bookmakers go to the trouble of offering language translation facilities on their websites is not there. The one exception is 188bet, who allow Cambodian citizens to view their site in their native language. Whilst Khmer is the mother tongue of Cambodians, many speak Chinese, English, Vietnamese and French, and therefore navigating around most of the sites such not cause too many issues. Similarly, the currency Cambodian Riel (KHR) does not carry much weight worldwide and is not offered to customers when depositing, but dollars and large number of other currencies can be used. Interestingly, UK based firms William Hill and Coral do not offer their facilities to customers from Cambodia. Caribbean based Pinnacle Sports are happy to take registrations from the vast majority of countries, Cambodia included. Their high turnover, high limit and low margin model is appealing to many, especially bettors from Asia who typically like to focus on Asian Handicap and Over/Under goals markets. As Cambodians have to use a major currency such as US dollars, Euros or Pounds Sterling, in theory there are a large number of different deposit options when they want to fund their accounts. Visa debit/credit cards can be used, as well as Maestro and Mastercard, and there are also a number of e-wallets such as Moneybookers/Skrill, Paypal and Neteller which are becoming an increasingly popular method of topping up accounts, as they offer security and anonymity. Prepaid virtual visa cards such as Entropay are also facilitated by most major firms. In Cambodia and many other Asian countries, the most popular form of deposit is via bank transfer. This is often in the form of cash deposits to maintain anonymity. As mentioned agents operate in most major cities and deposit winnings back into customers’ accounts in cash, eliminating any paper trail. Football is by far and away the most watched sport in Cambodia. It also generates exponentially more revenue from gambling activity than any other sport in the country. To say the national football team have not cut much ice on the world stage, would be an understatement; they are currently ranked 201st in FIFA’s rankings. Domestically, the Metphone C-League is the top professional league in the country. It is contested by 12 teams, who as of 2014 will play each opponent twice – once home and once away. The standard is still well below much of Asia and the rest of the world, but with increasing investment, is improving. The main focus for Cambodian punters however, is European football, and in particular the English Premier League. All of the Asian bookmakers market England’s top flight as their flagship betting market and due to the extensive television coverage, many across Cambodia have an intricate knowledge of the English teams. Other major and minor leagues around Europe and the rest of the world are covered by the betting firms, and where there are odds, there is interest from punters. There is currently no horse racing track in Cambodia, but plans have been in the pipeline since 2008 for a $516 million horse racing centre. There have also long been plans to develop greyhound racing in the country, with Indo China Racing being granted a 30 year lease for the development of racing facilities. As it stands however, as with the horse racing, it has been more talk than action. Sepak Takraw is very popular in Cambodia, as it is across much of Asia. The game dates back to the 15th Century and has some parallels with volleyball, as there are two teams of three players and a net, with the aim to keep the ball off the ground. However, the fundamental difference is that Sepak Takraw requires players to use their feet, knees, chest and head to touch the ball. 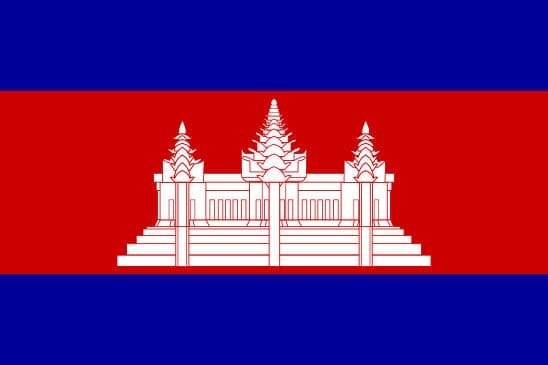 Cambodia have a men and women’s national team who compete regularly on a world stage. The game is played on the streets, with wagering on games common. Kun Khmer is considered to be one of Cambodia’s national sports. The discipline exhibits many similarities to Muay Thai boxing and major cities hold competitions and fights each weekend. Basketball is growing in popularity and the CBL was formed in 2013. Dragon boat racing is also a big sport in Asia, with Cambodia no exception. The human powered boat racing events are often the subject of significant wagers. Whilst gambling remains illegal in Cambodia, there is clearly a strong betting culture in the country, and although the laws are occasionally enforced and punishments handed out, most activity goes undetected or has a blind eye turned to it. Furthermore, with reforms planned to increase foreign investment into the country, it could be even easier for Cambodian citizens to strike bets. As it stands, most online bookmakers accept Cambodian sign ups and there is little the authorities can do to prevent the gambling activity. In addition, agents for major online betting companies operate ‘on the ground’ in large numbers, taking bets in cash and anonymously depositing winnings in customer’s bank accounts. There has been a crackdown on this practice, with several individuals arrested, but the commission rates are so lucrative there will always be willing employees to fil the role. Gambling is big business and its popularity only looks set to expand in Cambodia, despite what the authorities do.